In their relentless competition for more sunlight, plants have evolved into complex, extended multicellular organisms that can reach more than 100m in height. By putting the photosynthetic tissues further and further away from water sources, plants had to evolve complex vascular systems to both transfer water and minerals over long distances, and structurally support their bodies. The plant vascular system is composed of two independent but coupled systems: the xylem, which transports water from the roots to the rest of the plant, and the phloem which redistributes the products of photosynthesis from the photosynthesizing organs (primarily the leaves), to the non-photosynthesizing ones (e.g. fruits and roots). How the plants build the cell walls of their water-conducting tissue in a way that ensures optimal performance of the structure under given physiological and environmental conditions? 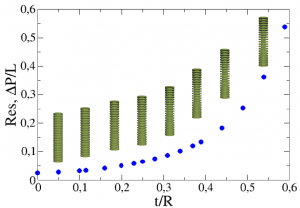 Does the wall patterning improve the conductivity of the tracheary elements? 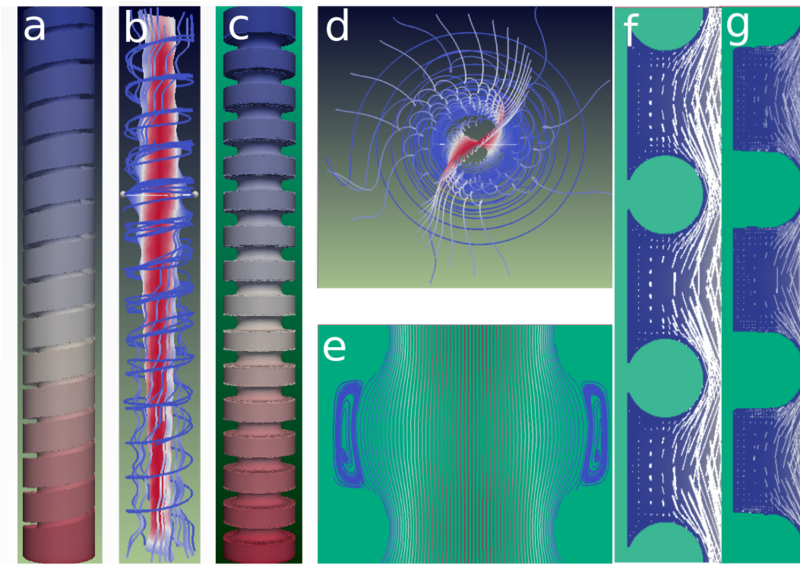 Is the xylem wall designed to provide a perfect balance between flow functionality and mechanical strength? Can we “design” plants that are able to thrive under the changing climate and produce structures which perform optimally under given external (physiological, environmental or laboratory) conditions? 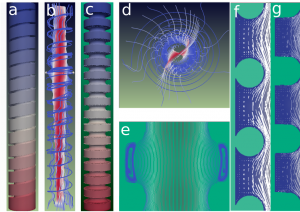 Velocity streamlines and velocity field inside xylem elements with different geometry. 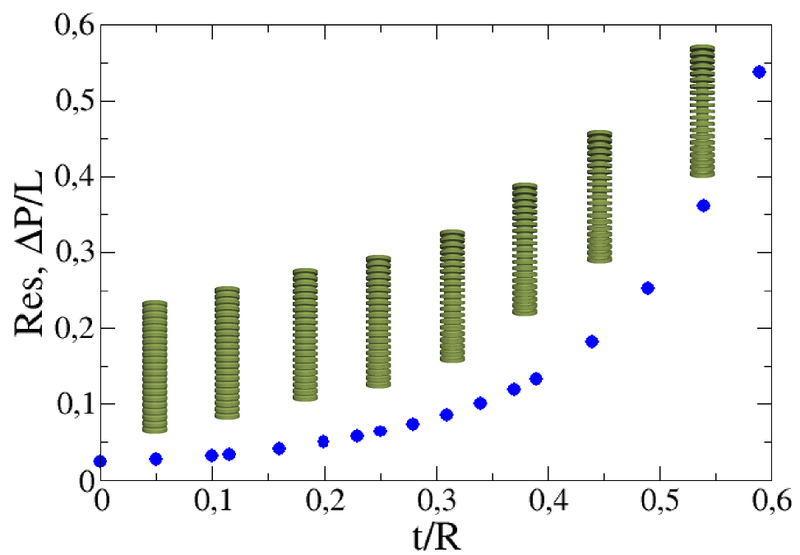 Hydraulic resistance of the xylem elements plotted as a function of the thickness of the corrugations.